air ticket (calculated at 1st July 2016 rates). and drinks not forming part of the group menus. Welcome to Sri Lanka. 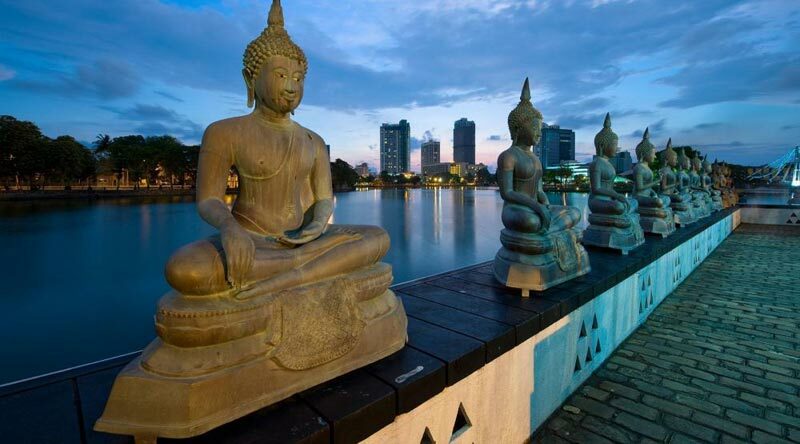 On arrival at Bandaranaike International Airport, you will be met by our local representative and transferred to Kandy. En route we stop to visit Pinnawela Elephant Orphanage - where an orphanage was started in 1975 to house the abandoned and the wounded elephants. The number of elephants has increased to more than 65 now; including Baby Elephants brought from various parts, as well as the 23 baby elephants born as a result of the captive breeding program. Overnight at the hotel in Kandy. Today, we proceed for a city tour of Kandy, including Upper Lake Drive, Market Square and the Temple of the Sacred Tooth Relic. Ever since 4th Century A.D, when the Buddha’s Tooth was brought to Sri Lanka hidden from sacrilegious hands in an Orissan princess’ hair, the Relic has grown in repute and holiness in Sri Lanka and throughout the Buddhist world. It is considered Sri Lanka’s most prized possession.Later, we visit the Royal Botanical Gardens - Peradeniya set in 147 acres. There are more than 5,000 species of trees, plants and creepers including Spice Garden and Orchid House too. There are 5 Palm Avenues beautifying the gardens, the earliest and tallest Palm Avenue (Royal Palm Avenue) was planted in 1905 and the Double Coconuts from the Seashells Island, with the largest seed of all plants in the world are one such avenue. We also visit the Gem and Lapidary museum. In the evening, we proceed to see a Cultural Dance Show in Kandy. Overnight at the hotel in Kandy. 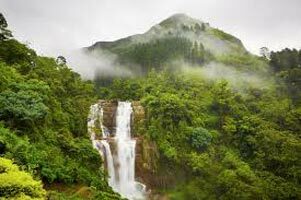 Today, we check out and drive to Nuwara Eliya - also known as ‘Little England’ of Sri Lanka, set against beautiful backdrops of Mountains, Valleys, Waterfalls and Tea Plantations. It is supposed to be one of the coolest places in the Island, but it is really just like an English spring day, although the temperature does drop at night. All around Nuwara Eliya you will see evidence of the British influence, houses like country cottages or Queen Ann style mansions. Tea is the most widely-consumed beverage in the world. It has a cooling, slightly bitter, astringent flavor which many enjoy. There are six varieties of tea; white, yellow, green, oolong, black and pu-erh of which the most commonly found on the market are white, green, oolong and black. All tea are made from the same bushes but processed differently, and in the case of fine white tea, grown differently. Puerh tea, a post-fermented tea, is also often used medicinally. Today, we check-out of our hotel in Nuwara Eliya and drive to Bentota. The rest of day is free for you to enjoy all the different activities in this beach town on your own. Overnight at the hotel in Bentota. Today, we check out of hotel and drive to Colombo. as the tree-lined residential, Cinnamon Gardens. Avukana Buddha and the Independence Square. Rest of the day at leisure in the hotel. will be transferred by Speed Boat to your resort. Evening is free to enjoy the Blue Water of Maldives. Overnight at your hotel in Maldives. and any suggestions you may have for the future.